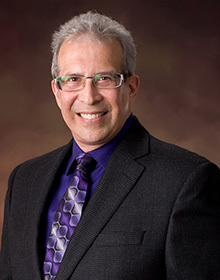 Dr. Pomerance earned his dental degree from the University of Michigan, Ann Arbor in 1977. He completed his undergraduate work in the School of Pharmacy, also at the University of Michigan. After graduating from dental school fifth in his class of one hundred fifty, he moved to New York City, where he successfully completed an extensive, hospital-based General Practice Residency. After practicing dentistry in New York City for an additional two years, he moved to Los Angeles, CA, where he practiced dentistry until 1995. In 1995, Dr. Pomerance decided to move to Denton, Texas, making this area home. Dr. Pomerance enjoys all areas of dentistry but has a special interest in cosmetic procedures and implants. Dr. Pomerance updates his clinical skills annually with continuing education courses. In conjunction with his patient-oriented philosophy, he continually updates his office with the most recent equipment available. Dr. Pomerance is a member of the American Dental Society, Texas Dental Society, North Texas Dental Society, and the Denton County Dental Society. He has volunteered for many community based organizations, including the United Way, where he served on the Caring Way allocation committee, as the Dental Liaison for the Success by 6 program, as the head of the school-based Dental Sealant Program, and the community coordinator of other various dental programs. He has been a member of the Denton Kiwanis Club since 1996 and has been the Chairman of the Kiwanis Club's Children's Clinic Committee since 1997. The committee oversees the treatment of indigent children in Denton County and most recently treated children with medical, dental and prescription needs valued at over $160,000. The Kiwanis Club has bestowed upon Dr. Pomerance its highest award, the Hixson, in recognition of his efforts for helping the club help the indigent children of Denton County. His personal passion is rescuing Alaskan Malamutes as a member of the Alaskan Malamute Rescue League. I have 6 dogs, 3 cats and 20 fish. Be true to your teeth and they won't be false to you!